Henri Matisse was a French artist, known for his use of color and his fluid and original draughtsmanship. He was a draughtsman, printmaker, and sculptor, but is known primarily as a painter. He was the leader of the Fauvist movement. Pablo Picasso once said about Matisse: “All things considered, there is only Matisse”. 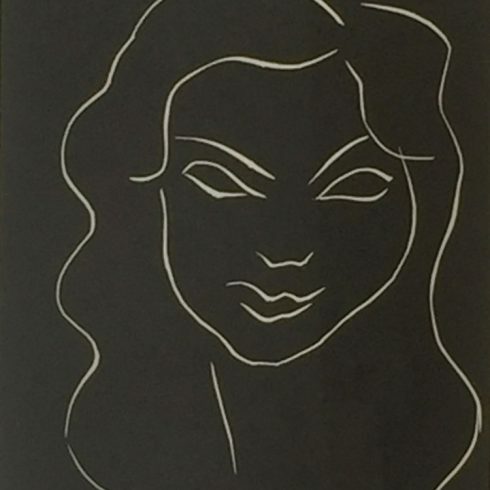 Our Fine Art Gallery has the finest quality Henri Matisse original prints, lithographs, artworks, linocuts, and posters for sale. We have a large inventory available off-site and we encourage you to make an appointment to see specific works you are looking to collect. We are happy to meet you at either our art gallery showroom or at your home or office for a private presentation. Artist Henri Matisse was born in Le Cateau-Cambresis in northern France. Matisse first began painting in 1889, when his mother gave him art supplies during a period of convalescence following an attack of appendicitis. Henri Matisse discovered “a kind of paradise” in painting, and Matisse abandoned his legal career, to the deep disappointment of his father. In 1891 Henri Matisse moved to Paris to study art at the Academie Julian. It was here that Henri Matisse achieved proficiency in academic painting in the classic reserved style. In 1897, Henri Matisse was exposed to the artwork of Van Gogh and the palette of the Impressionists, which deeply changed Matisse’s understanding of color. Henri Matisse was greatly influenced by Neo-Impressionist artists: Eduard Manet, Auguste Rodin, Cezanne, Paul Signac and Gauguin. 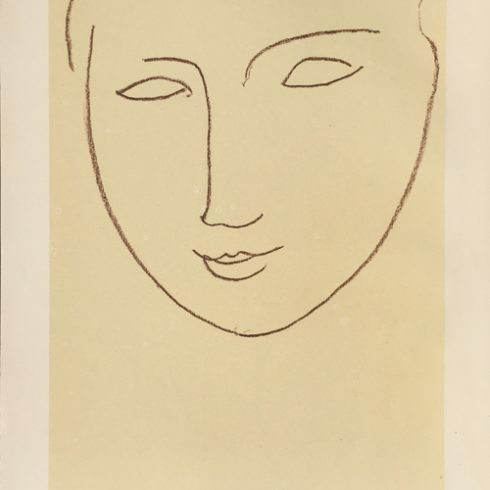 Henri Matisse had his first solo show at art dealer Ambroise Vollard’s gallery in 1904. At the 1905 Salon d’Automne, Henri Matisse and artists Andre Derain, Maurice de Vlaminck and Albert Marquet, exhibited together. Henri Matisse and his colleagues’ intensely vibrant, spontaneously painted works were jeered by the public, who deemed them exceedingly primitive, brutal and violent. The group of artists was dubbed Les Fauves (the wild beasts) by art critic Louis Vauxcelles. Other Fauvists included: Georges Braque and Raoul Dufy. 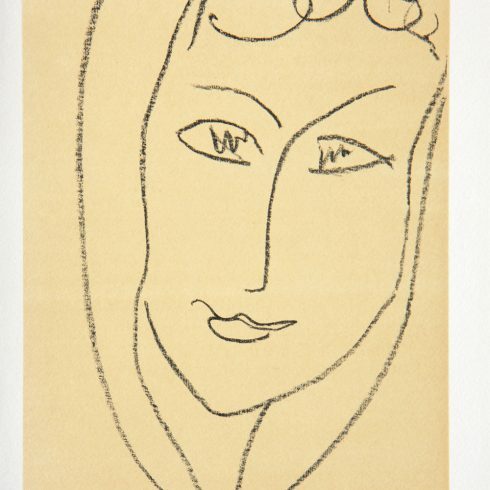 Matisse’s painting from the exhibition “Woman with a Hat” was bought by Gertrude Stein, who would become an important collector and supporter of Matisse. 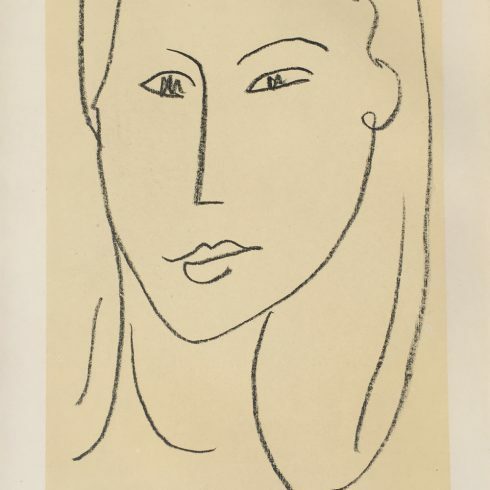 Gertrude Stein and her brother Leo were avid patrons of Matisse and through Stein’s salons, Henry Matisse was introduced to other important collectors as well as artists. In 1907 Pablo Picasso and Henri Matisse met at one of Stein’s salons. This was the beginning of a creative association and rivalry between Picasso and Matisse. “No one has ever looked at Matisse’s painting more carefully than I, and no one has looked at mine more carefully than Matisse” stated Pablo Picasso. After World War I, Henri Matisse had gained a high reputation and Matisse was awarded the French Legion of Honor in 1925. Henri Matise was an internationally recognized artist by 1930. 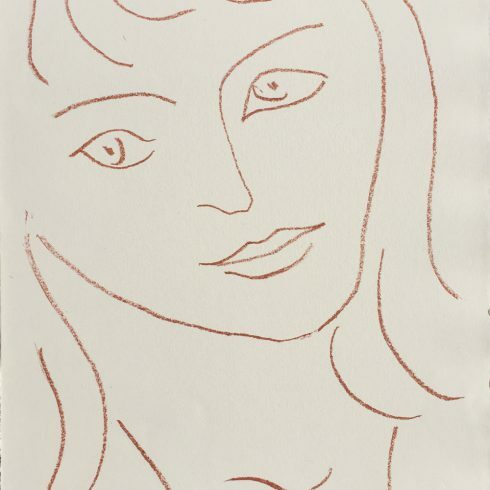 During the 1940s Henri Matisse also worked in the Mourlot Studio in Paris, creating black-and-white prints for several illustrated books and over one hundred original lithographs, woodcuts, linocuts, and etchings. In 1941 Henri Matisse had two major operations for duodenal cancer which had a devastating effect on Matisse’s health and ability to paint. The surgeries left Matisse unable to stand upright in front of an easel, and Henri Matisse was confined to either a bed or a wheelchair. 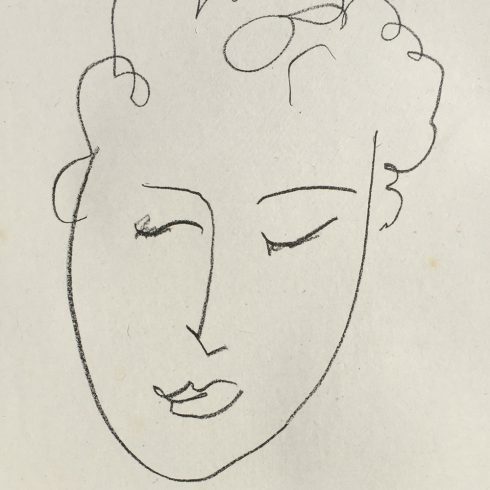 Undaunted by this immobility, Matisse would tape a piece of charcoal to a long stick and would draw on mounted paper or directly on the walls or ceilings. Henri Matisse discovered a new kind of artistic creativity with papiers decoupes, abstract shapes cut from colored paper. “The paper cut out” Matisse said “allows me to draw in the color. It is a simplification for me. Instead of drawing the outline and putting the color inside it—the one modifying the other—I draw straight into the color”. These artworks rank as some of the most joyous artworks ever created by an artist at an advanced age and Henri Matisse continued creating paper cutout works until his death. 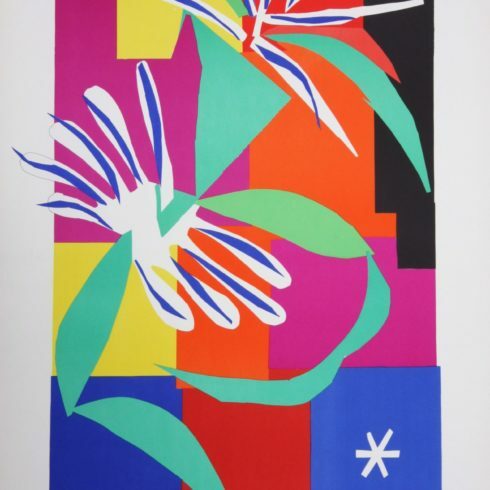 In 1947 Henri Matisse published Jazz, a limited-edition illustrated book containing original prints (lithographs, etchings, and woodcuts) of colorful, paper cut collages. Henri Matisse died on November 3, 1954, in Nice as an innovative artist who explored color and form through his paintings, lithographs, etchings, linocuts, illustrated books, sculpture and stain glass windows.